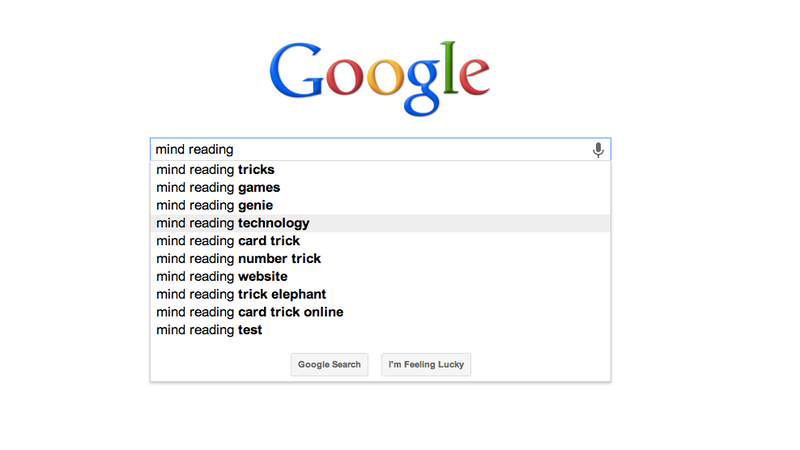 It's been almost a decade since Google started reading our minds. Now, it's become so second nature that we hardly even think about it. There was a time before autocomplete existed though; someone had to invent it. AllThingsD sat down with the mastermind to chat about its fascinating genesis. Autocomplete—technically "Google Suggest"—was invented by one Kevin Gibbs, who migrated to El Googs from IBM. He put the project together in his first few months at the search giant, and launched it back in 2004. Google had (and has) no shortage of query information, so the real challenge wasn't so much rounding it all up, but rather deciding what to leave out. But before the product could launch, Gibbs had to personally create the blacklist of words that wouldn’t appear on Google Suggest. Since the feature would be actively showing results before someone had finished a query, there was a huge risk of Google putting forth something that offended people — even if it was the most likely result algorithmically. Nowadays, Gibbs works at a little company called Quip, having left Google back in 2012. Despite the huge mark Google Suggest has left on the face of Google—in its own way, it's the great grandfather of Google Now—Gibbs says he doesn't spend much time pondering his great deeds. “I don’t feel when I look at a search box that it’s something I did,” Gibbs said. “It feels like this is just how the world’s supposed to work."